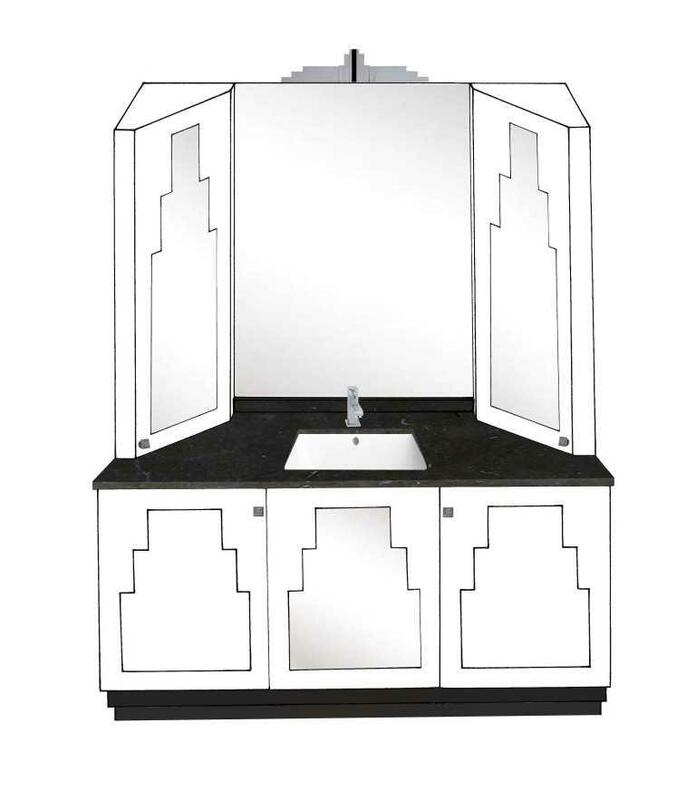 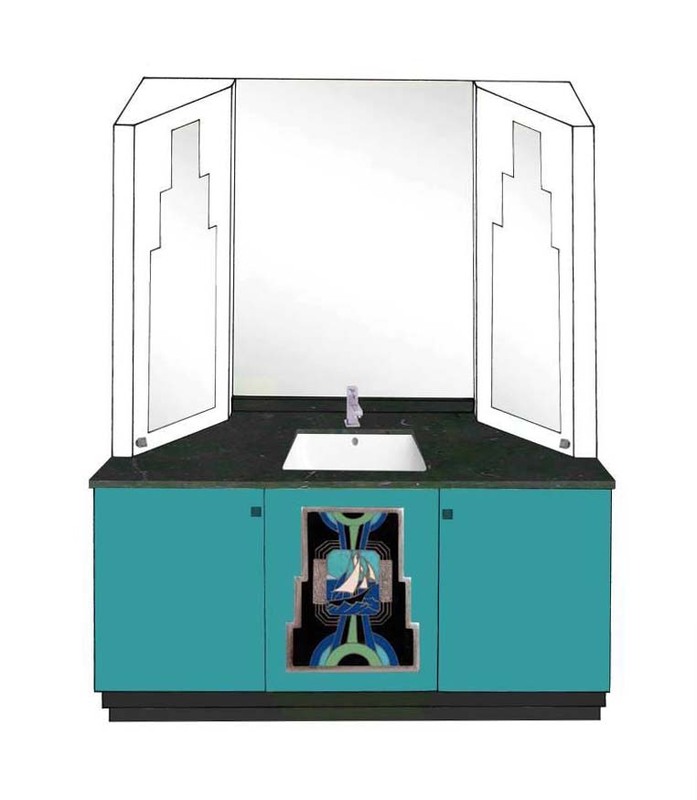 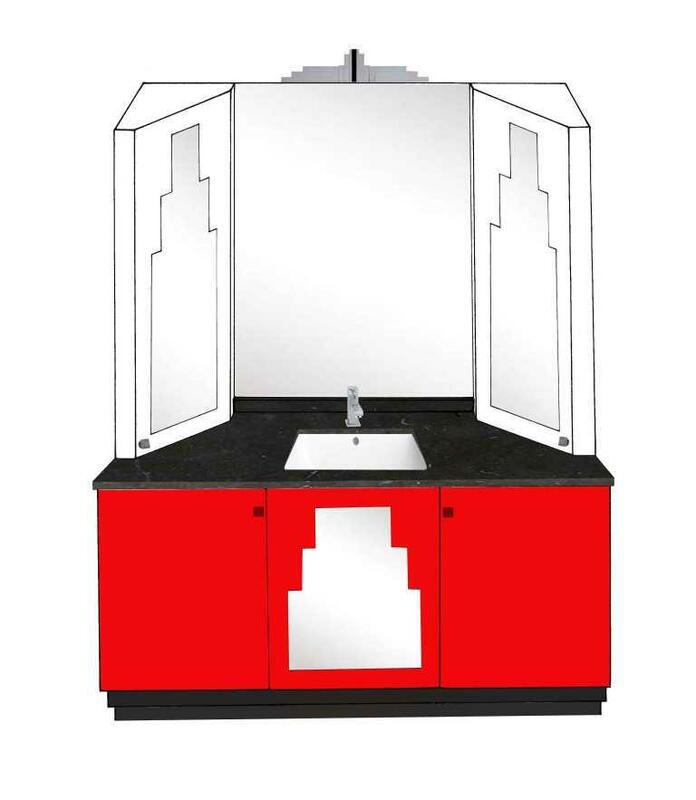 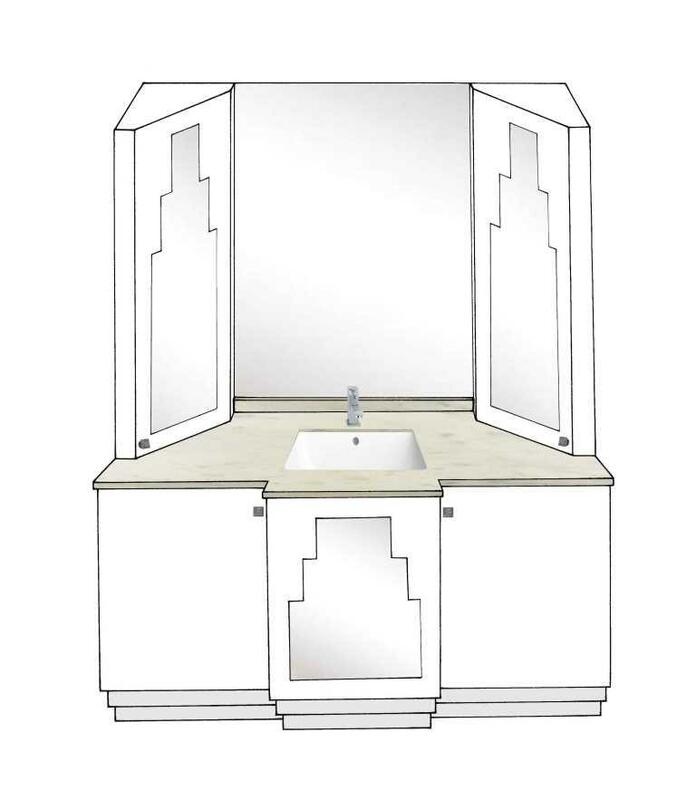 Another really striking new Art Deco bathroom vanity unit, with a very strong graphic look. The look is heavily influenced by Paul Frankl's 'Skyscraper' style, with the stepped shapes of the door panels. A large minimalist wall mirror is great for make up & makes the room seem much bigger. 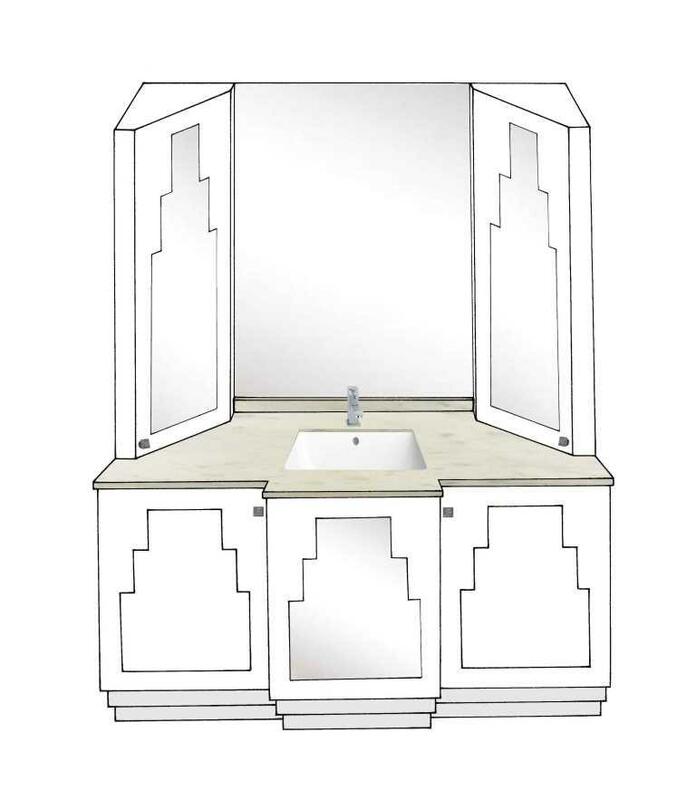 The mirror can have one of our stepped Skyscraper style mouldings above it. We can even add decorative painted panels in the base unit for a very striking High Deco look. You can mix up any of the ideas below as they're made bespoke. 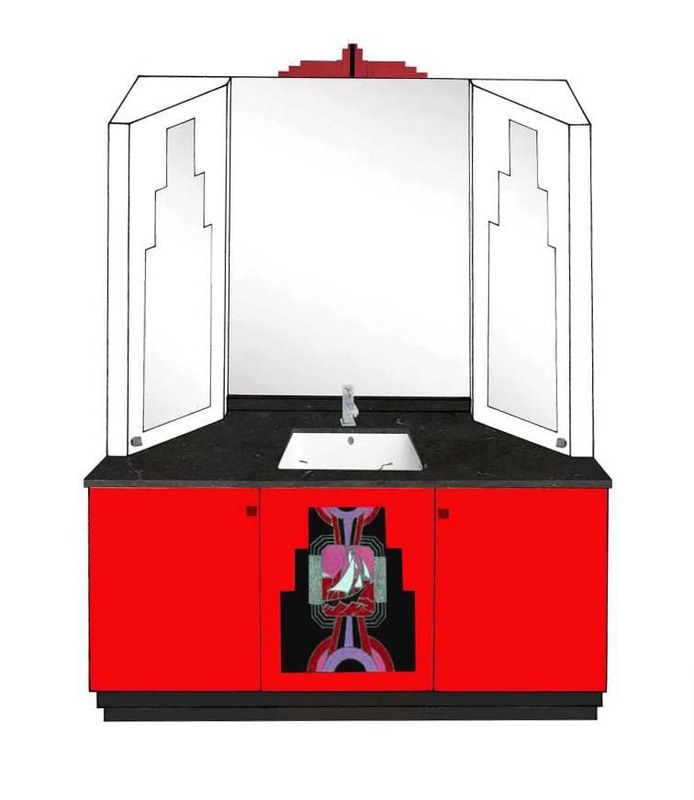 The stepped plinth works really well visually. As well as a 3 door vanity unit there are several versions shown in the bathroom section, with 2, 3, 4 & 5 door versions, shown in many finishes, with real Wow factor. 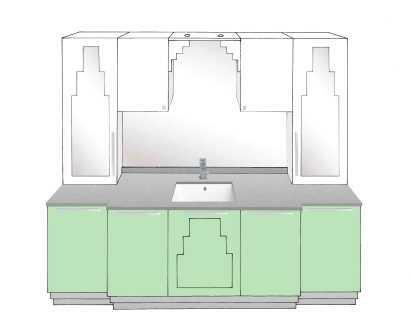 Some of these designs show the base units with a straight front & some with a breakfront (this emphasises the stepped ideas in the design). This vanitu unit, especially with the angled tall units, lends itself to being built between 2 walls. You could build it into a corner on 1 side & build a stud wall on the other for a shower cubicle. As these are made bespoke we can do basically any option you want or the size you want. The doors & door panels can be painted, wood, mirror, glass, etc.. The worktop equally can be whatever you want, from wood, granite, marble, Corian, glass, etc.. 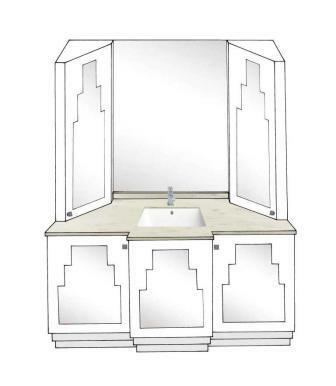 This vanity unit offers plenty of storage, adding vertical storage space with tall angled units. 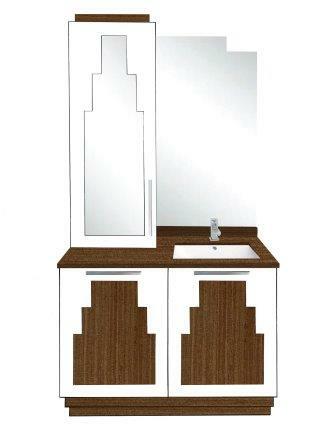 The angled tall units give more worktop storage space, but they can be straight if you prefer. 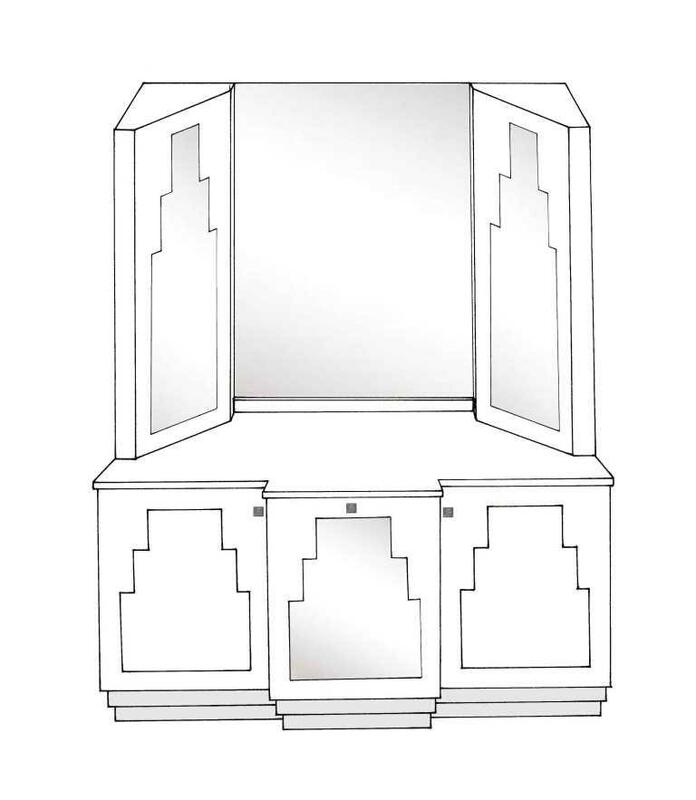 You could just have the 3 door base unit if you want.